Thank you so much to our guest blogger, Michelle Jaelin RD, for this post! Michelle is an innovative registered dietitian based out of Toronto and Hamilton, ON helping you eat healthier through creative nutrition messages! Check out her website for some great reads, and follow her on Pinterest, Instagram, Facebook, Twitter, and LinkedIn. Working in the nutrition and food world, I often get the pleasure (and excitement) of learning about new foods and trends before they reach the public. A trend of 2016 has been the consumption of insects, such as mealworms, crickets, and beetles. 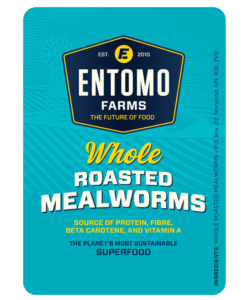 I got to try some of these at the Idea City Conference where the Ontario Science Centre and Entomo Farms teamed up to share these insect proteins to the knowledge-hungry audience at Idea City. 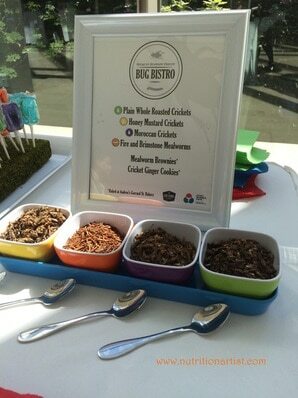 Over 2 billion people in the world rely on insect protein for their daily intake! Now if you grew up on Disney like I did, you probably would think of Timon and Pumbaa from the Lion King, when they sing “Hakuna Matata” and explain the concept of eating insects to Simba. 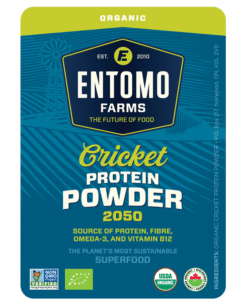 If you are squeamish and the thought of consuming insects grosses you out, one of the easiest ways to try them is in powdered form. I received a sample to try from Entomo Farms. My initial impression was it resembled cocoa powder. A deep brown colour, except the taste was similar to that of mushrooms. As someone who does enjoy baking, I decided to make cricket banana bread. Preheat oven to 350F, 9×5 loaf pan. Grease pan with coconut oil. In a bowl sift together cricket powder, flours, wheat germ, baking soda and baking powder. Set aside. To make the banana bread whole grain, I added ½ cup of whole wheat flour and 1 tbsp of wheat germ. Adding whole wheat flour and the germ back into the grain makes it a whole grain. The cake did not rise as much as with only white flour, but it still had a great flavour and consistency. The reason why I do not substitute all of the white flour for whole wheat is because the whole wheat flour would make the end product too dense. Overall, I felt like the cricket powder gave the banana bread a greater depth of flavour with added protein over regular banana bread. If you would like to try consuming insects, cricket powder added to your traditional recipes in small amounts is a great way to try it! Disclaimer: The following recipe was created from a PR sample sent from Entomo Farms – I was not compensated to write this post. All opinions are my own and are genuine. 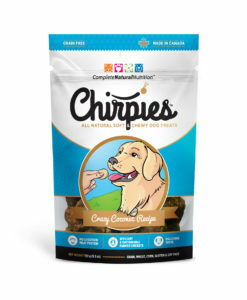 This entry was posted in Blog and tagged Blog, Blogger, cricket flour, cricket powder, cricket protein, eat bugs, eat clean, eat crickets, eat healthy, eat insects, edible bugs, edible crickets, edible insects, Entomophagy, future of food, guest blogger, healthy eating.